First World War - Wounded. British War Medal, Victory Medal. D.A.A. & Q.M.G., M.D. 2, 1921. 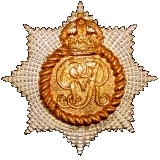 14 Dec 1922; Appointed to temporary rank of Major. 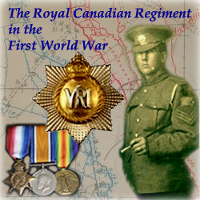 1 May 1927; Relinquishes temporary rank of Major and posted to "C" Company, London, Ont., from "B" Company, Toronto, Ont. 17 Jul 1928; To be Brevet Major. 15 May 1929; seconded whilst employed as Cadet Services Officer at District HQ, Military Disctrict No. 7, Saint John, N.B. 1 Apr 1934; Ceases to be seconded and vacates the appointment of District Cadet Officer, M.D. No. 7, Saint John N.B. THE LONDON GAZETTE, 26 JUNE, 1934; - 22 Jun 1934; The KING has been graciously pleased to sanction the following promotions in and appointments to the Venerable Order of the Hospital of St. John of Jerusalem:- As Officer - Major Gerald Lynham Porte Grant-Suttie. 31 Oct 1934; Having ben pronounced medically unfit for further service, is retired to pension and placed on the Retired List. King George V Silver Jubilee Medal. THE LONDON GAZETTE, 1 JANUARY, 1937; 22nd Dec 1936. - The KING has been graciously pleased to sanction the following promotions and appointments to the Venerable Order of the Hospital of St. John of Jerusalem: - As Commander - Lieut.-Colonel Gerald Lynham Porte Grant-Suttie. GRANT-SUTTIE, Lieut.-Col. Gerald Lynham Porte; b 17 Feb. 1890; e Trinity Coll., Univ. of Toronto, B.A. 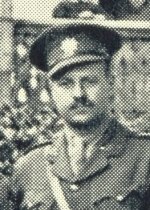 ; m Ada Lewis (who holds Cross of the Order of Mercy of the Kingdom of Yugo-Slavia) d late Robert T. Gooderham, Toronto, 1924; served with mil. 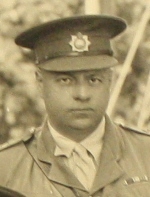 as lieut, Jan. 1910; attached to Candn. Perm. Force, Feb. 1912; passed offrs'. Long Course, Roy. Mil. Coll., Kingston, Ont. ; apptd. lieut., R.C.R., July 1913; served in World War, 1914-18; sailing Sept 1914; dist adj., Bermuda, Mar.-Sept 1915; took part in engagements at Vimy Ridge, Avion-Lens, Hill 70, Passchendaele, Cambrai, Canal du Nord, Forest of Raismes, pursuit to Mons; employed as courts-martial specialist with Candn. and Imp. staffs in Eng. and in the field, incl. duty as judge advocate at gen. courts-martial, and as mem., dist courts-martial at Tower of London and Chelsea Barracks; apptd. court-martial offr. and acting D.A.A.G. at H.Q., 3rd Candn, Divn., and court-martial H.Q., 5th Army; apptd. do., H.Q. Cdn. Ripon, and Overseas Mil. Forces of Can. and for London dist; wounded at Passchendaele, 1917; mentioned in despatches; apptd. H.Q., MiL Dist No. 2, Toronto, for reorgan. duties, 1 Nov. 1920; apptd. asst judge advocate gen. and staff capt., H.Q., Mil. Dist. No. 2, 1 Nov. 1921; D.A.A. and Q.M.G., do., 1 Nov. 1922-30 Apr. 1927; D.C.O., H.Q., Mil. Dist No. 7, 1 Jan. 1930-31 Mar. 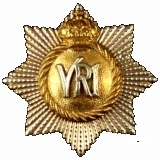 1934; retired from perm, force, 1934; an offr. of the Order of St John of Jerusalem; rep., Can. at Internat. Geog. Cong., Warsaw, Poland. 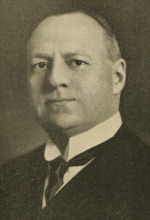 1934; vice-pres., Candn. Geog. Soc. ; mem., commandery-council and ambulance comte., nat. extve., St John Ambulance Assn. ; hon. secy. Ont Prov. Council, do. ; mem., nat. council, Candn. Inst. Internat. Agairs; mem., council. Dom. Can. Rifle Assn. ; life mem., do. ; life fellow. Roy. Geog. Soc. ; do., Candn. Geog. Soc. ; fellow, Am. Geog. Soc, New York, N.Y.; life fellow, Roy. Soc. Arts, mem., Brit. Inst. Philos. ; Roy, Candn. Inst. Acad. of Pol. Science, New York; A. Acad. of Pol. and Soc Science, Philadelphia, Am. Soc. Internat. Law, Washington; internat. Law Assn., London; Candn. Pol. Science Assn. ; Ont Hist Soc; Toronto Bd. of Trade; Ont. Rose Soc; life mem., Art Gallery of Toronto; Roman Catholic; recreation travel; Clubs York; Albany; R.C.Y.C. ; Ontario Jockey; Toronto Hunt; Eglinton Hunt; Canadian; Canadian Military Institute (Toronto); Rideau (Ottawa); Royal Societies; Junior Naval and Military (London, Eng); Niagara Golf; Home 110 St George St, Toronto. Ont; Country Home Nenagh Hall. Niagara-on-the-Lake, Ont.